All co-payments and deductibles are due at the time of service. This includes payment for any surgical procedures, which is usually taken care of in advance. 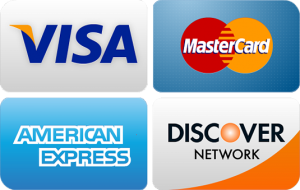 We accept cash, check, and Visa, MasterCard, Discover and American Express credit cards. CareCredit financing available and accepted. Certain types of medical insurance plans require a referral from your primary care physician prior to your visit. If you are unsure if your plan requires this, it is best to call the member services number listed on the back of your insurance card to verify. If a referral is needed, please contact your primary care physician and ask that one be faxed to us at #314-351-4697. Please note that it is your responsibility to do this prior to your visit. If a referral is needed but has not been received, your visit may be rescheduled or you will be asked to sign a waiver at check-in. For additional questions about referrals or assistance please contact our office. *Please note that by clicking through to the link, you will be taken away from the website. Eye information website by the American Academy of Ophthalmology. FAQs can be read here.